HAVING previously built its own truck bodies, leading brick and block carrier Steward Transport turned to Charlton to deliver bodies for its eight truck fleet update programme. 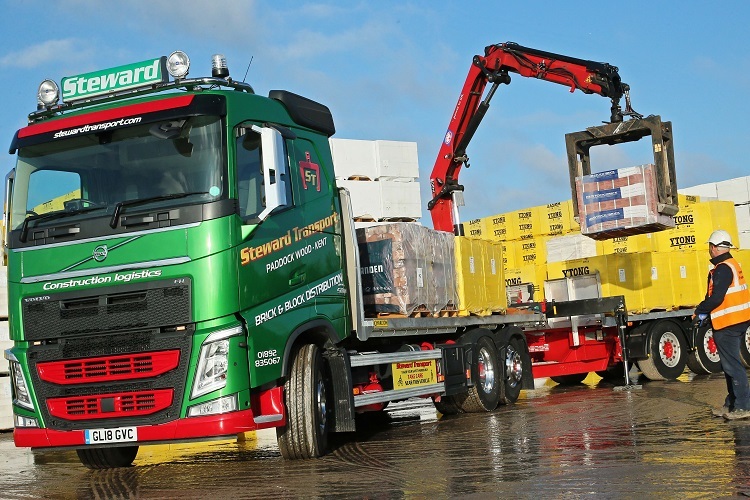 Based at a five-acre site in Paddock Wood, Kent, Steward Transport currently runs 22 drawbar rigids, 10 eight wheelers and eight artics, almost all being Volvos, supplied by MC Truck & Bus of Maidstone. 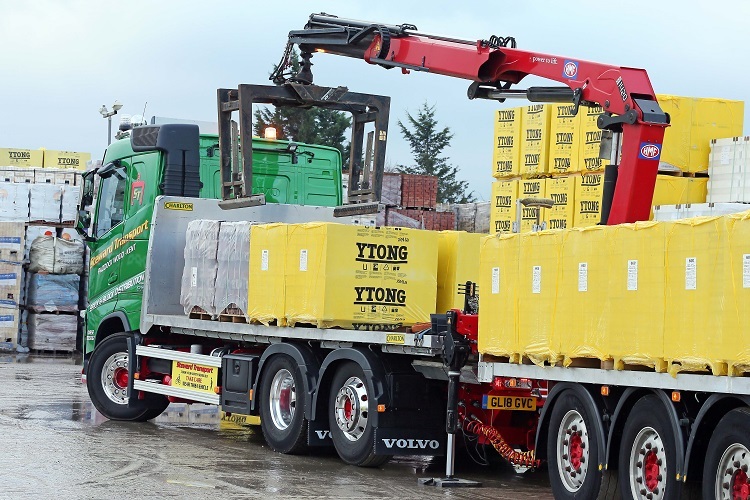 The order provides bodies and cranes for five Volvo FH 6×2 drawbar rigids and three FM 8x2s, is the first time Steward opted for the Charlton product. Company Director, Jamie Steward said: “Last year we decided to make a big investment in new vehicles, ordering eight new trucks in one go. Splitting the fleet between these three vehicle types gives Steward the maximum possible versatility in delivering their products, with the artics generally doing full load drops, the shorter eight wheelers doing inner city work in London and the drawbars, with or without their trailers, offering the option of both. Each truck features a remote control, rear-mounted HMF crane giving full reach over both truck and trailer. Running at 44-tonne gross weight, these top spec trucks provide an easy 28 tonnes payload. Jamie added: “What we really appreciate from Charlton is that as well as building a top quality body they also have the complete range of engineering skills to deliver a finished truck that’s immediately ready for work. Steward’s eight new trucks coincides with the company’s recent 50th anniversary celebration, and assert the top level FORS Gold standard with Earned Recognition.